Do you crave mexican food often? Shack it all up in here. Cook on low for 6-8 hours! Let it cool for 30 minutes and it will thicken. My sweet neighbor Jill is a foodie and she loved it. She also said it could use some taco seasoning for a kick. I agree! My mom added it to her batch and they loved it. Even K ate a mini burrito, but she likes to call them tacos! Yum. So did you not cut up the frozen chicken when you put it in the crock pot? Did you instead just shred it after it was cooked? MMM we'll have to try these...I've never used the crockpot...shameful I know!! I will definitely be trying this! These looks fabulous!!! 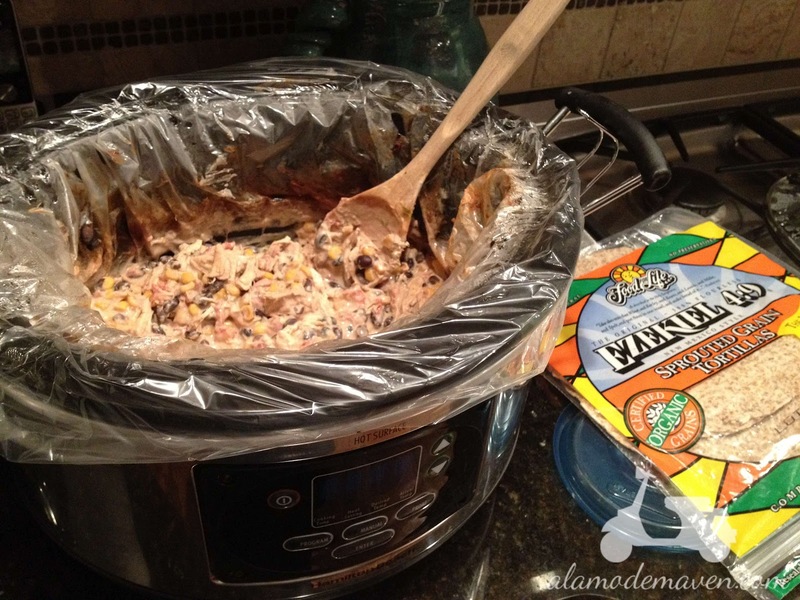 love my crock pot, love the liners and i think i am going to love this receipe. i curious though, there seems to be a little bit of emphasis on "FROZEN" chicken breasts...i am inclined to thaw them and cut them up (and maybe season them a little)...thoughts? what did you do? 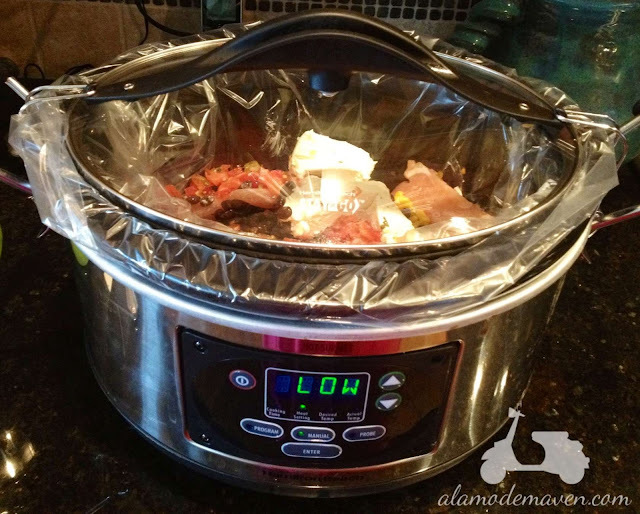 Frozen is better to use in a crock pot for slow cooking (5 or more hours). Thawed and cut up will not take as long. I found this recipe on Pinterest and it was a HUGE hit with me & my friends! On my blog post, I have additional things you can do to add into it! It is a family favorite, so glad you liked it! Wow...ego much? I have been making this same recipe with the addition of a can of chilies for YEARS! Your acting bitchy. Maybe she made the recipe before this blogger did so what chill out. And if you really made this recipe many years ago then why even look at this one when you have your own recipe? Seriously, was there a need for such a rude reply? Pat yourself on the back a little harder, the only person you impressed was yourself. I'm going to try this...and add the taco seasoning. Looks great. Never knew they had crock pot liners. I must live under a rock lol. I'm trying another crock pot recipe I saw on another blog. Roast beef, bottle of beer and two packets of italian seasoning mix. It's in the crockpot now! Hmmm, that sounds good too. I made this several years ago and my family didn't like it (picky kids) so now I make it without chicken and serve it as a dip with fritos! It's always gone when I take it somewhere and I love it! Well aren't you just Betty Crocker lately? Love it! This sounds delish. I'll definitely give it a try. I could eat Mexican every. Single. Day. Looks delish - and easy...my kind of cooking! Will definely be cooking this in the next 5 days!! Thanks!!! Yea! Another yummy recipe to pin. Anxious to try this one! this looks absolutely scrumptious! Another similar recipe calls for 1 block of cream cheese, 3-4 chicken breasts, and 1 can of your favorite salsa; same cooking time... Easy Mexican Chicken! Top on rice, throw in a burrito, or spread in a taco... it's all GOOD! This looks really yummy! Will have to try it! Thanks Shelli! thanks! they sound delicious! I will have to make them!! will def. try this one asap! thank you for sharing! Great idea-i just got my first crock pot today and i cant wait to make burritos! Thanks to everyone for ideas and what an awesome blog! Great idea! I just got my first crock pot and i cant wait to make burritos. What an awesome blog-i found off Pinterest too. Thanks to all the other comments for ideas too! I just made this for dinner and it was a big hit!! But for some reason I thought it said to add a ranch dressing packet instead of a taco packet... it turned out really great with the ranch packet!!! Next time I'll have to try it with the taco packet. 6 large chicken breasts (we're a family of 6 and there was no way three breasts would cut it!). An additional can of corn and Rotel and I sprinkled Spicy Taco seasoning over the chicken breasts. I did not change the amount of cream cheese or beans in the recipe. I served it with fresh cilantro, fresh sliced jalapeño peppers, shredded cheese, lettuce and tomatoes and twist of fresh lime juice. Leftovers heat up beautifully. I just made this and it is great! I used the taco seasoning and added some sour cream too. Well, it turns out I made WAY too much for my husband and me. Can I freeze it? I make this recipe all the time! It's a favorite in my house....although the only thing I do different is use about 15oz. of salsa (or a jar of salsa). 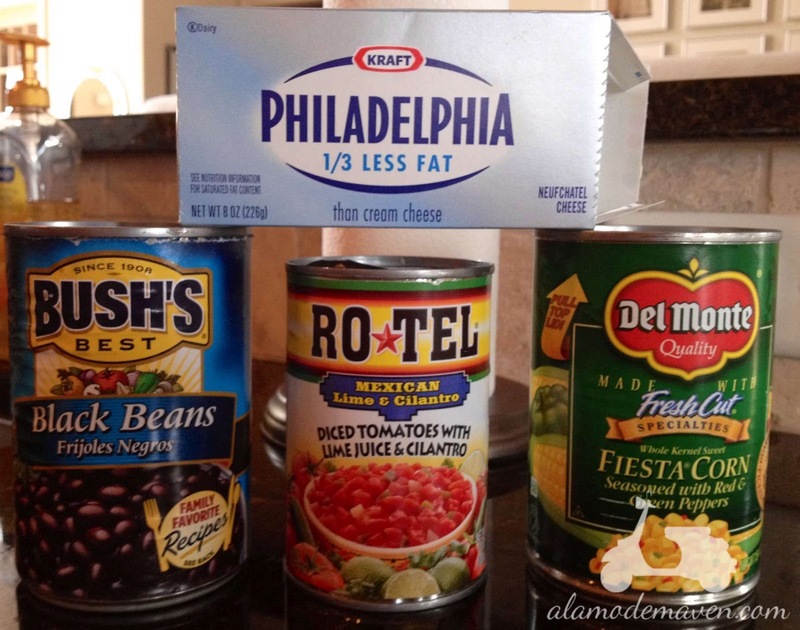 I'm going to try this sometime this week with Rotel since I'm out of salsa! 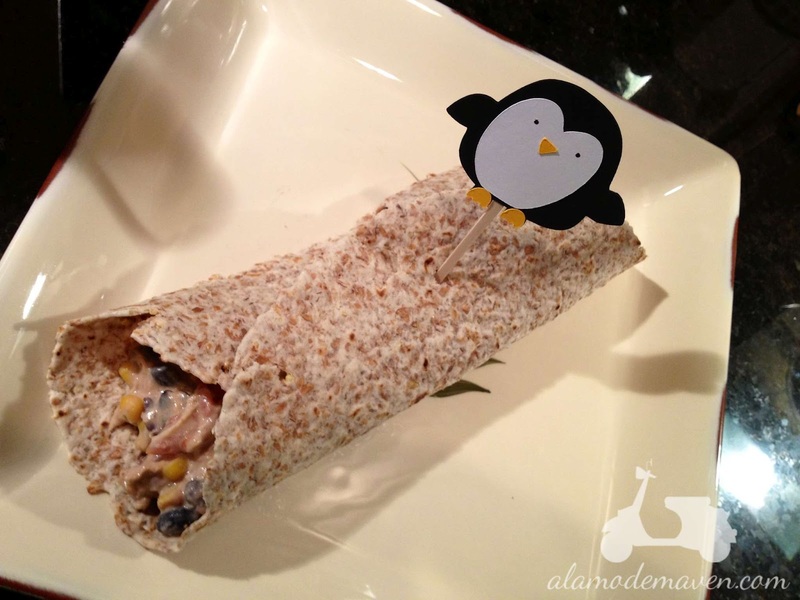 I'm sure it's just as good :) I eat it over brazilian rice and inside corn tortillas! YUM! 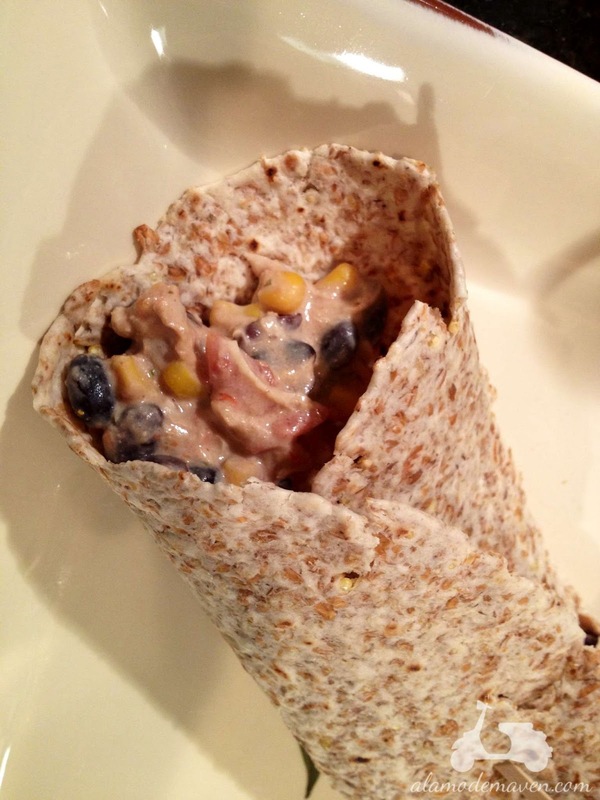 I have made this recipe numerous times and it is one of our favorites! We are not eating meat at the moment though so I'm going to try it without the chicken for the first time. I'm worried about it being too soupy without the chicken but will be pouring it over rice so it should be ok.